My Elephant. we being summoned to Petaling Jaya Section 17. it's a Thai food restaurant. and this is tonight venue. 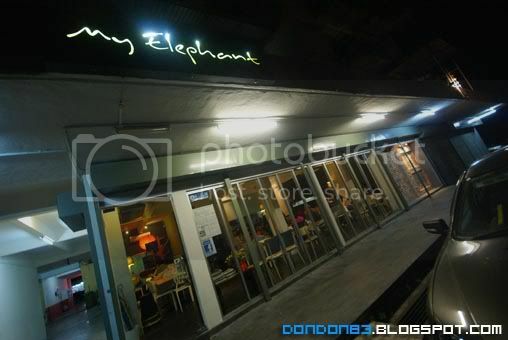 the crowd that in Thai Restaurant @ My Elephant. 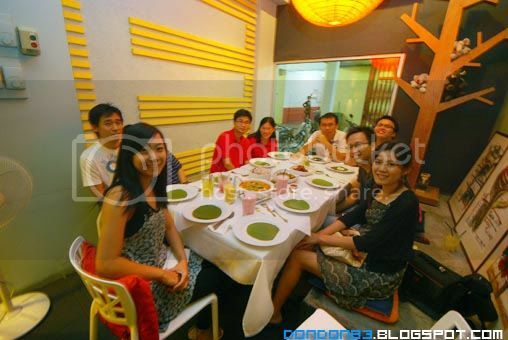 and noticed that the food is served.. ok.. i think we just tiny little bit late :P ehehehe, now lar. just in time! check out their Thai food. yummy..so colourfull. and their Tom Yam is yummy!! oh look!!! 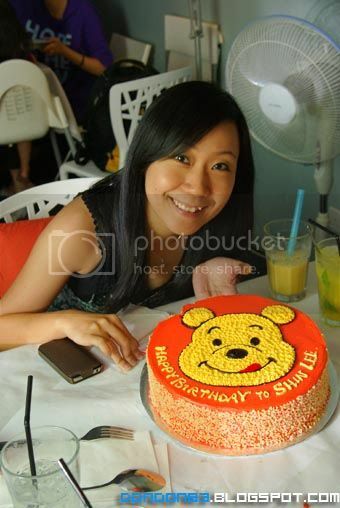 Winnie The POOH cake!!! 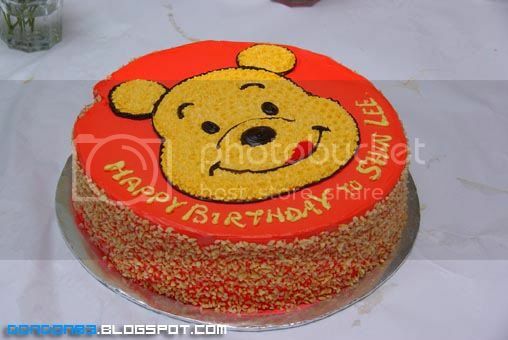 Shin Lee just gone crazy and lost control once she saw this cake infront of her. and Thanks to Jessica for the hard-work preparing such a nice, cute, delicious, Creamy. cake for my dear. 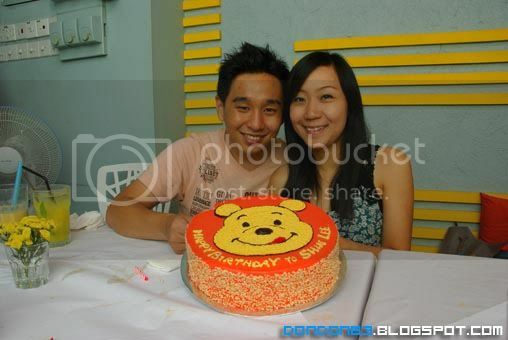 :) yupe.. this is a handmade cake by Jessica.. not from any shop out there. 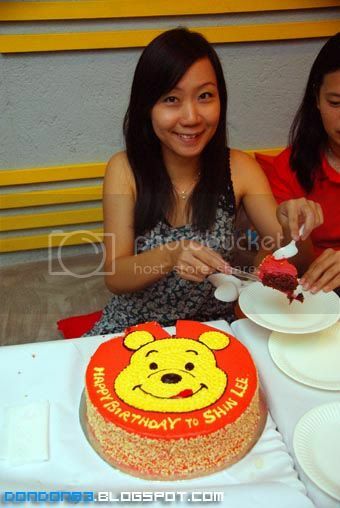 see how happy she is with the cake. she doesn't allow anyone to touch it. 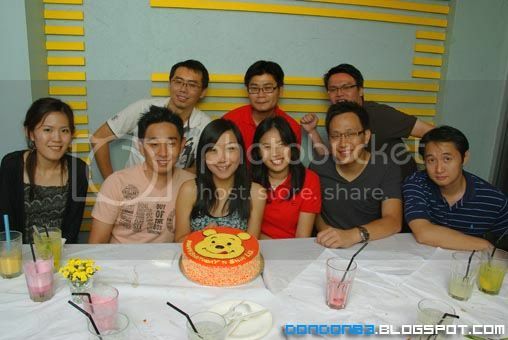 so.. talking about tasting the cake.. seem like a bit tough..
a Group photo of the day. 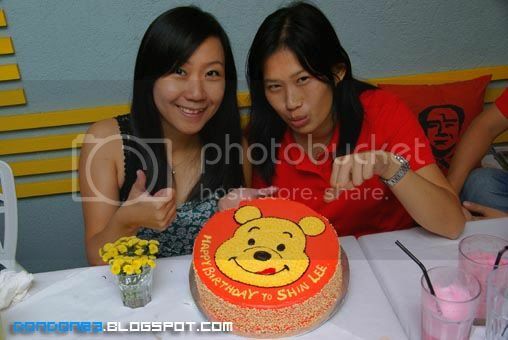 so here is a photo with my dear :).Cake or Me? Cake or ME? Me or Me? Me or ME? ME!! 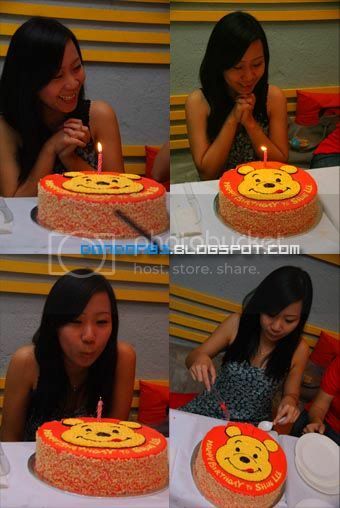 making birthday wish in front of the pooh cake. 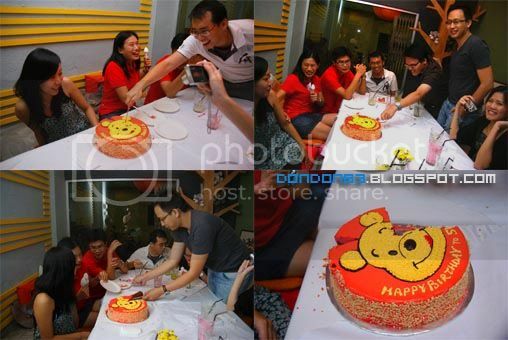 more pooh cake coming year? Environment of My Elephant. 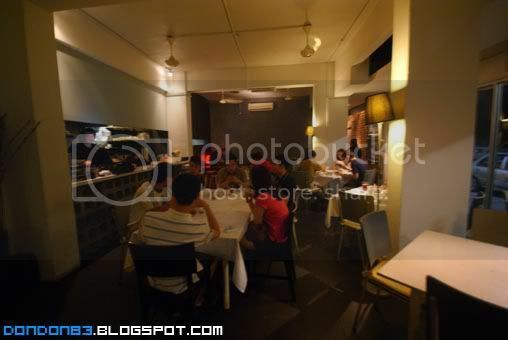 a very nice Thai Restaurant. 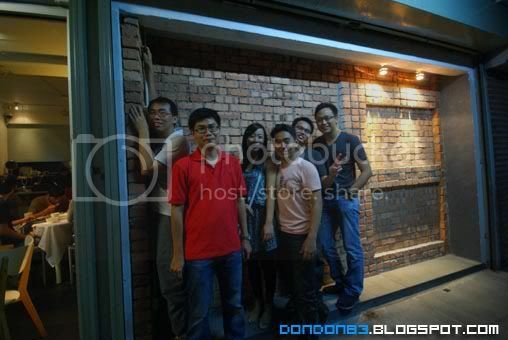 another group photo at outside.. the letter "E" on the wall.. to represent My Elephant restaurant. almost didn't notice there is a E there XD. That all for Shin Lee Celebration, round one i suppose?